The new event is beginning! [Event 01] Go or Stop !? ■ How to participate the event? 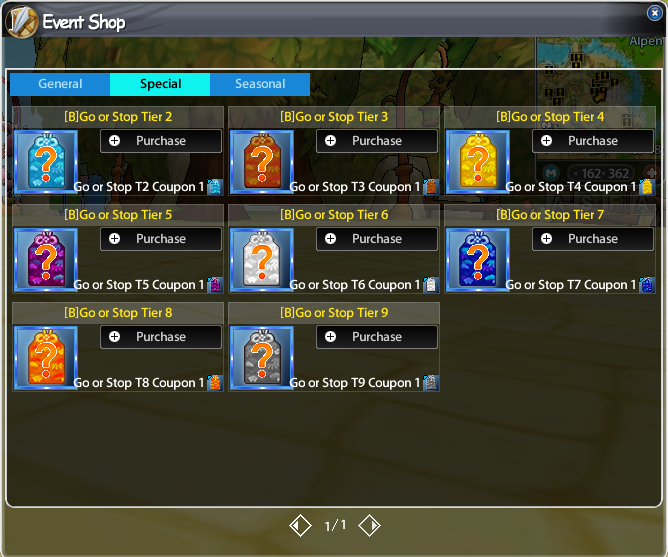 ① You can obtain [B] Go or Stop Tier 1 through various routes! Please refer to the below for the routes details. - You can obtain the booster in the mailbox every hour on the server time basis. - If you can dig, you can obtain the booster by chance in anywhere. - If you can fish, you can obtain the booster by chance in anywhere. ② You can obtain the next Tier Booster by chance. - When you use the '[B] Go or Stop Tier 1', you have the fifty-fifty chance of obtaining the 'Go or Stop Tier 2 Coupon(success)' or 'Sand(failure)'. - You can proceed to 'Tier 10 booster' in the same way. - Each booster's success probability is different. 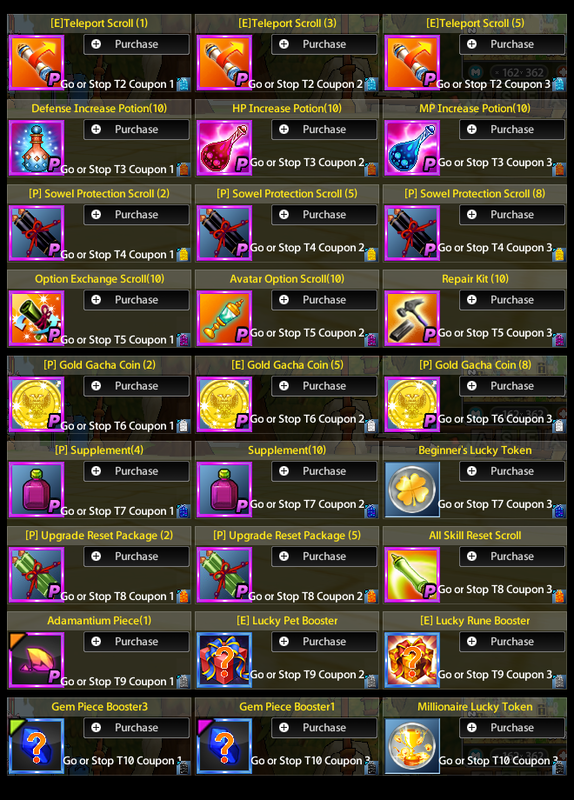 - You can buy the various items and next Tier Coupon with the Tier Coupon. ※※Millionaire Lucky Token's information need to be revised. "Turn in 1 token to Ella in Alpen and receive the Hero World Class Title." - After gathering Rare & Hero titles, You can obtain the legend title automatically.